Steven Alan Stripe Layered Bed Look for West Elm. It's nice when a bed looks put together, even when it's not. Promemoria. Hand-crafted Italian furniture makes us fall in love all over again with design. Details of two-door, linen-wrapped George cabinet knobs: bronze and Murano glass. Archway Bed for Holly Hunt. A sleek, pared-down exoskeleton of a bed. Koan from Porcelanosa. We'd like to slip into this tub after a long day at work. 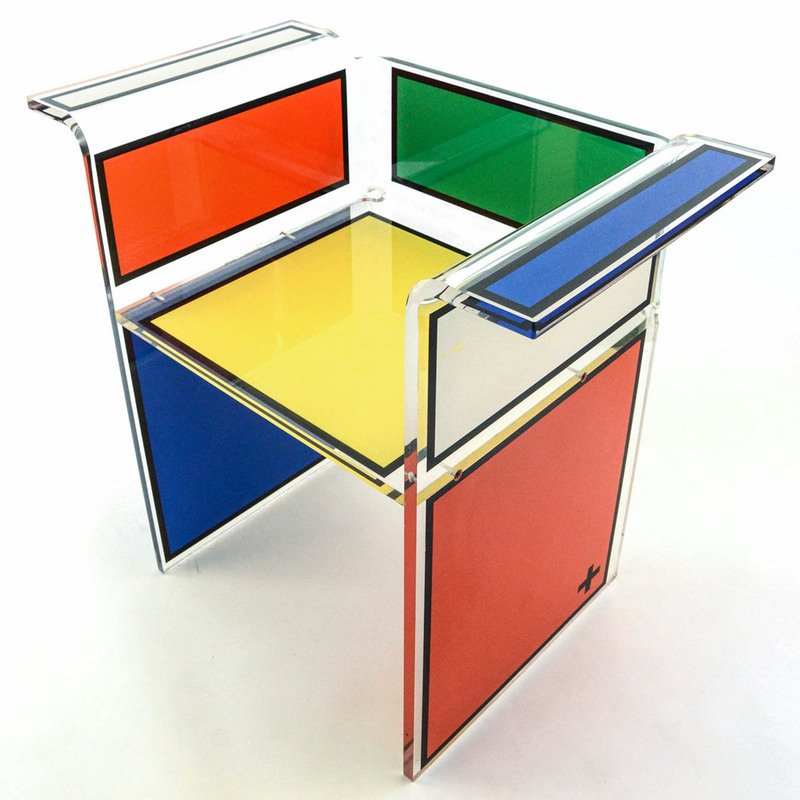 Jean Charles de Castelbajac Plexi Chair on 1stDibs. My, my - it's a Mondrian you can sit on.